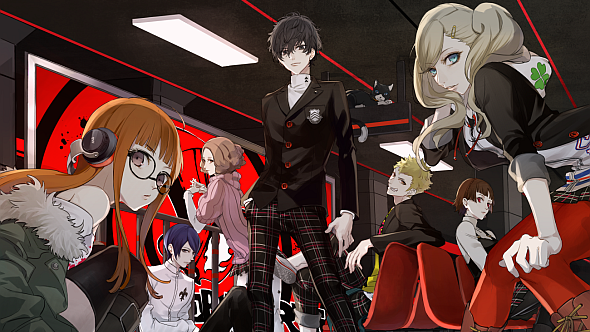 Yesterday, developers Atlus issued a DMCA takedown notice against the Patreon page of a group who had made their latest game, Persona 5, playable on PC via a PlayStation 3 emulator. And yet, all may not be lost for those who would like to see the game come to our platform. But what’s definitely on the horizon? Find out with our list of upcoming PC games. In a statement, Atlus say they issued the takedown because they don’t want fans’ first experiences of their games to involve framerate drops, crashes, and other platform-sensitive bugs arising from emulation. Running on the emulator in question, Persona 5 suffered from these issues, as you can see in this footage. This follows statements from Sega at E3 this year, which suggested none of Atlus USA’s back catalogue was off the table for a PC port (Atlus USA merged with Sega of America last year, meaning Sega took over publishing duties in North America). Persona is a series of narrative urban fantasy RPGs, with angsty high school teen drama by day and allegorical dungeon-crawling at night. Its latest instalment, Persona 5, earned strong reviews on its worldwide release in April this year. Sound good? Let Atlus know you want to see it on PC, and you just might get your wish – here’s their contact page, their Facebook, their Twitter. As for the emulator’s Patreon takedown, developers RPCS3 posted their version of events on Reddit. After advice from Patreon to delete all references to Persona 3 from their page, it’s still live, and the situation appears resolved, for now.